Buying or selling a home is one of the biggest and most important transactions in your life. It can also be quite stressful.... but it doesn't have to be! As your dedicated Real Estate Representative, Terry Mitterer will help you solve problems, win negotiations and ensure your transaction runs smoothly. We have designed our web site with your interests in mind. Please drop us a line, We'd love to hear your thoughts! We are dedicated to getting your home SOLD and/or finding that dream home you are searching for. You are invited to browse our website and call or e-mail Terry with any questions you have about buying or selling real estate. Terry has been a successfully helping Fraser Valley families relocate for over 30 years and has established a solid reputation among his clients & peers as one of the Fraser Valley's Top Agents. Although he has won dozens of awards, Terry considers his clients satisfaction to be his greatest achievement and #1 priority! When you make the big decision to buy or sell a home, Terry is committed to going the extra mile to ensure that your needs are successfully met in an efficient & professional manner. 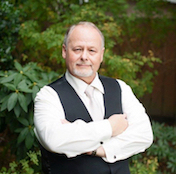 Referrals & repeat business are the foundation of Terry’s business and he knows that the only way for him to get your future business & referrals is to do a Superior job for you today! Sellers list their properties with Terry because of his accurate valuations and state of the art Home Marketing System which sets him apart from other Realtors. Terry has perfected a unique system for generating higher buyer traffic right to your property just like a powerful magnet. Most importantly, Terry’s system gets results and greatly increases your chances of a quick sale at the highest price. Buyers hire Terry because he helps them find and secure the most suitable properties and can always be counted on to protect their best interests every step along the way. He provides them with timely updates, critical background information and the expert guidance and negotiation skills that they need to succeed in todays challenging market. They enjoy working with Terry because of his easy going, relatable style and way of making the entire process less stressful and more fun. Whether Terry's clients are buying or selling, and whether it's their 1st or 5th property, his time & energy is always client focused and you can trust his advice and count on your results. Terry will give you everything you need to make a wise decision but will never pressure you to make one. His clients choose him because of the advantages they gain from his strong negotiation skills, state of the art systems and extensive knowledge & experience but it’s his trustworthy, relaxed, professional manner that keeps his clients coming back & referring their friends. He will strive to see that you are 100% satisfied with his services and your results. in fact, Terry Guarantees that in writing!